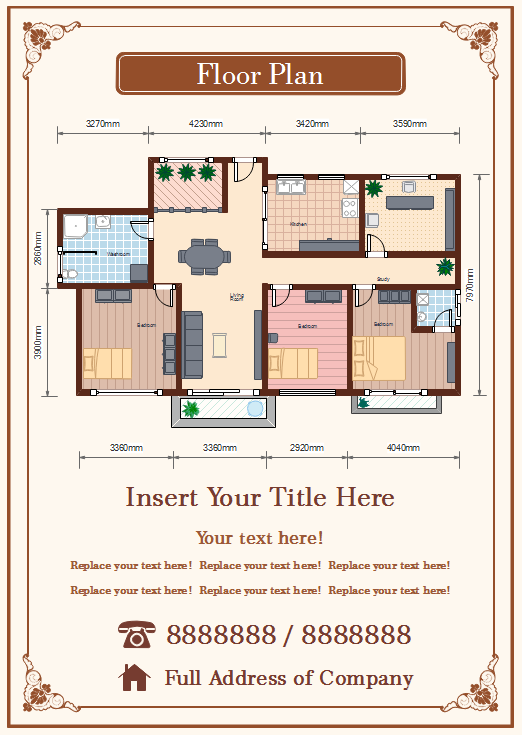 Easy-to-use floor plan software for making real estate advertisements and flyers. Create good-looking floor plans instantly with built-in furniture shapes. An effective way to market your real estate is using graphical advertisements, such as flyers and leaflets. In order to let people know clearly about the layout of the building, usually the floor plan is indispensable in a real estate flyer. How to make professional floor plans with less time? Should you hire some expert to do this job? 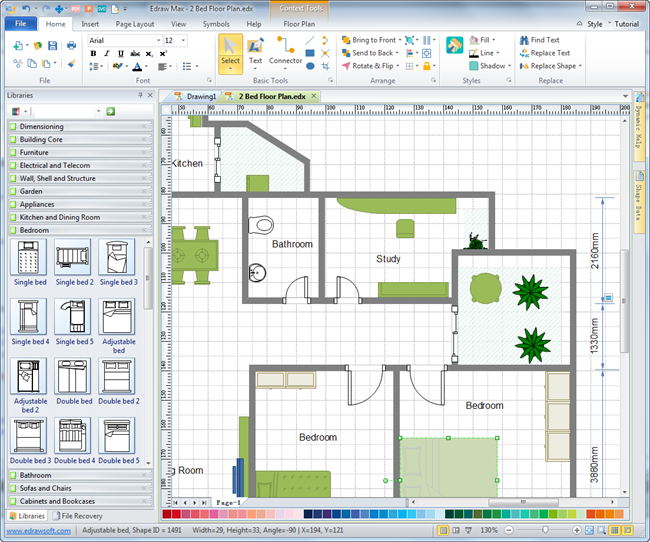 Well, with the right floor plan tool, every people could draw good-looking floor plans. Here is a floor plan flyer example created with Edraw floor plan software. 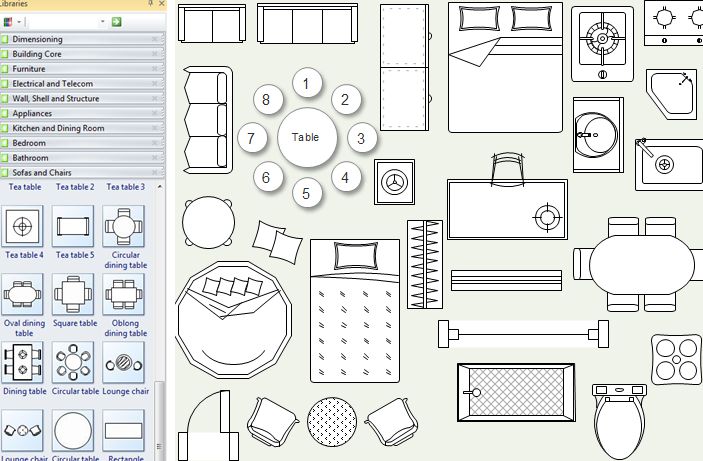 Edraw floor plan software is very easy to learn and easy to use. With an office-like interface that everyone is familiar with, you don't need to spend much time learning the basic operations. Once you start the tool, all related symbols such as wall structures, windows, doors, furniture and appliances are readily available in the library. What you need to do is simply dragging and dropping the symbols you need, and arranging the symbols into final floor plan. In the following picture, a small part of the symbols are presented as examples. In the software, there are thousands of built-in floor plan symbols like this. The symbols are prepared in vector format, allowing users to rotate, resize and recolor to make better effects. Here is a floor plan example created by Edraw. 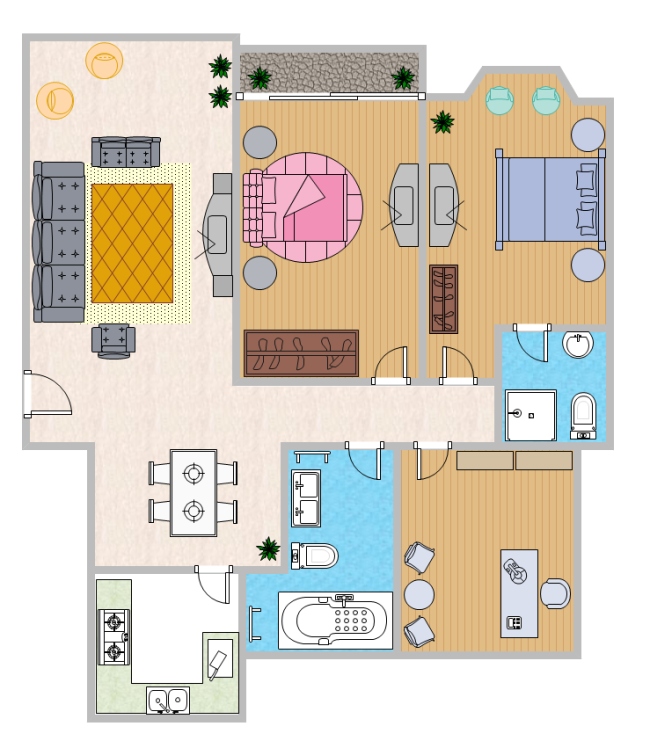 You can explore more floor plan examples under the Template menu of this website.